With people living ever more frantic and fast-paced lives, we can often lose track of which essential and non-essential nutrients we consume. Sugar is vital for good health, without it all the cells in our body would come to a halt and perish. However, too much sugar raises the risk of several diseases and conditions, including rotting teeth, obesity and type 2 diabetes. These days we’re all being warned to cut down on our sugar consumption. But, sometimes we can be unaware of just how much sugar is in the food that we are eating. To help you, we have listed some common everyday foods and drinks, together with their sugar content..
Sugar is a simple carbohydrate that belongs to a class of chemically-related sweet-flavored substances. It comes in many different forms. The three main types of sugar are sucrose, lactose, and fructose. Even though our cells need sugar (glucose) to survive, consuming too much of it can cause numerous different health problems. Added sugar contains no beneficial nutrients and in excess only contributes to tooth decay, diabetes, and obesity. Being aware of the existing and added sugar contents of the foods and drinks we consume is vital for our health – even more so today because so many products have sugar added to them. 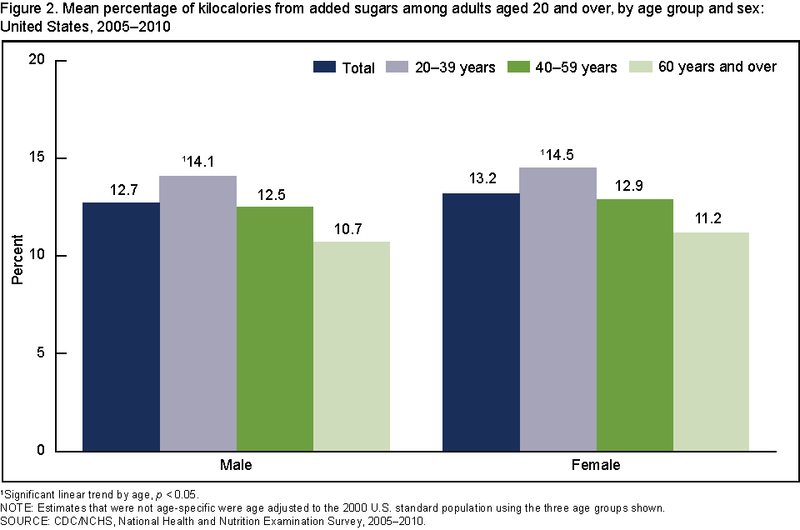 The AHA currently recommends that men consume no more than 150 calories from added sugar per day, and women 100 calories. Nutritionists strongly recommend against consuming more than 13 teaspoons a day. 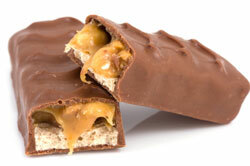 How much sugar do chocolates and candy contain? With high sugar content, chocolate should always be viewed as an occasional treat. How much sugar do soft drinks contain? 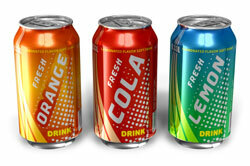 Soft drinks often contain a high amount of sugar. A study published in Circulation, the journal of the American Heart Association, identified a link between drinking more than one soft drink a day and increased risk of developing heart disease and diabetes. How much sugar do breakfast cereals contain? 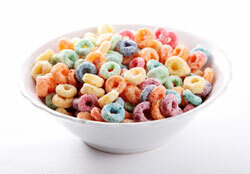 Froot Loops are said to contain 106 times more sugar than Shredded Wheat. In June 2012, researchers from Yale Rudd Center for Food Policy & Obesity revealed that even though cereals aimed at kids had become more nutritious, cereal companies (such as Kellogg, General Mills, and Post) had increased their advertising spending considerably. Cereal advertising aimed at children increased by 34% between 2008 and 2011. “While cereal companies have made small improvements to the nutrition of their child-targeted cereals, these cereals are still far worse than the products they market to adults. They have 56% more sugar, half as much fiber, and 50% more sodium. How much sugar does fruit contain? Fruits contain fructose, a type of sugar. Fresh fruit have no “added sugar”, but as you can see below, their levels of sugar range from 1 teaspoon per 100 grams in cranberries to 4 teaspoons in grapes. 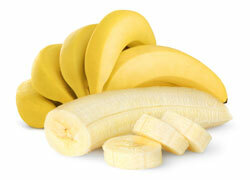 Bananas contain approximately 3 teaspoons of sugar (fructose). How much sugar do cakes and desserts contain? 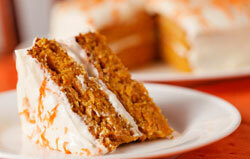 A medium slice of carrot cake contains approximately 3 teaspoons of sugar. Why should I monitor my sugar intake? 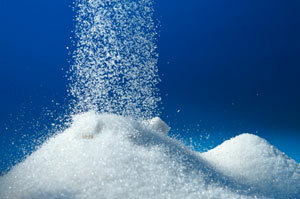 Obesity – Scientists at the Medical Research Council found that eating more sugar is associated with obesity. High blood pressure – A high-fructose diet raises blood pressure in men, according to research reported at the American Heart Association’s 63rd High Blood Pressure Research Conference. Heart disease – Researchers at the Emory University School of Medicine and the US Centers for Disease Control and Prevention (CDC), found that people who consume higher amounts of added sugar are more likely to have heart disease risk factors. Type 2 diabetes – Research conducted at the University of California-San Francisco indicates that sugar intake could be directly linked to type 2 diabetes. The U.S. Centers for Disease Control and Prevention (CDC) reported that far too many Americans are consuming too many calories from added sugars. The report revealed that nearly 13% of adults’ total caloric intake are coming from sources such as sugar and high fructose corn syrup.